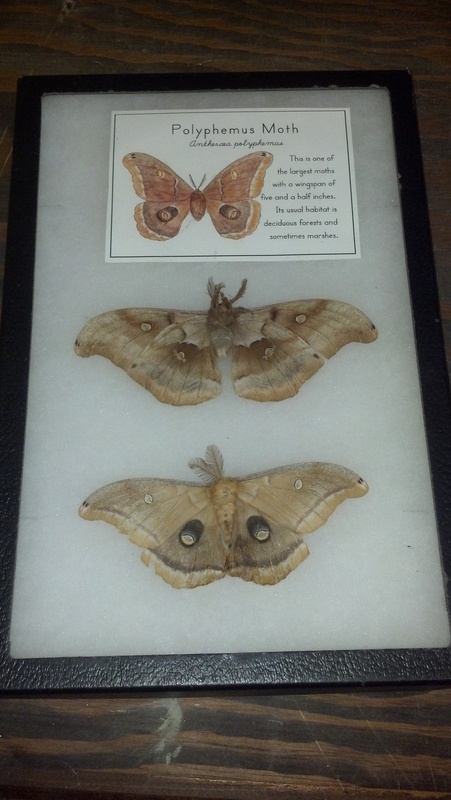 Participate in Global Citizen Science & Celebrate National Moth Week! National Moth Week participants can submit their sighting data to BAMONA, receive free identification assistance, and contribute to this valuable dataset and online resource To participate, register for a free BAMONA account, take photographs of moths during National Moth Week, and submit sightings via BAMONA’s online form. 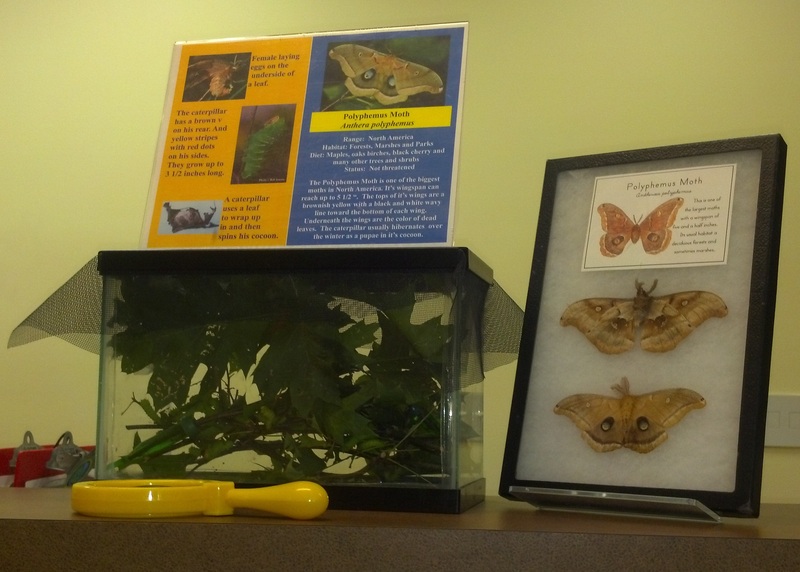 Be sure to select “National Moth Week” as the Partner Project on the form! 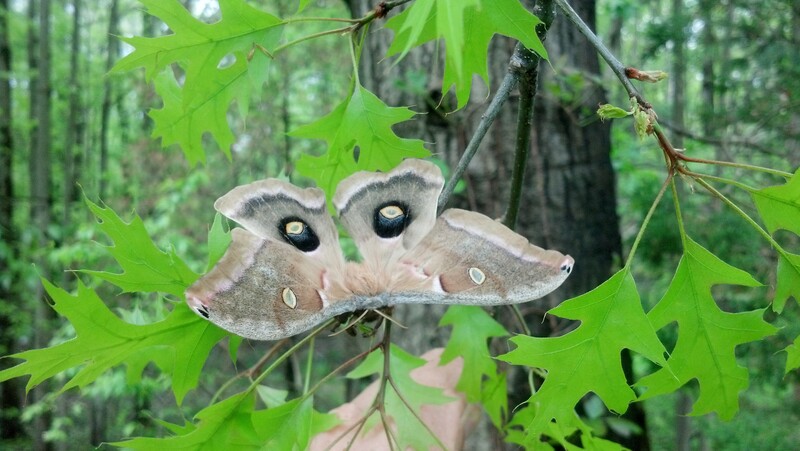 This past August, I found a female Polyphemus moth on the forest floor that for some reason or another could not fly. This gave me the opportunity to raise her eggs. That night I took and placed her outside in a mesh container that allowed her pheromones to be sent out into the forest and detected by males. The males identify the pheromone using their large antennae and find females with whom they wish to mate during their short adult lifespan. Within an hour of dark it turned out she began laying eggs that appeared fertile within the enclosure and was therefore already mated. I took and placed her into a large paper bag like one you would get from a super market. 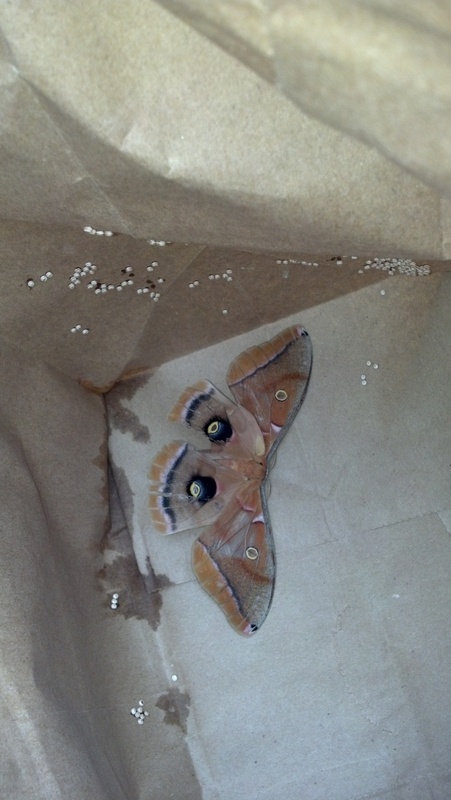 She laid over 50 eggs within the bag that night. 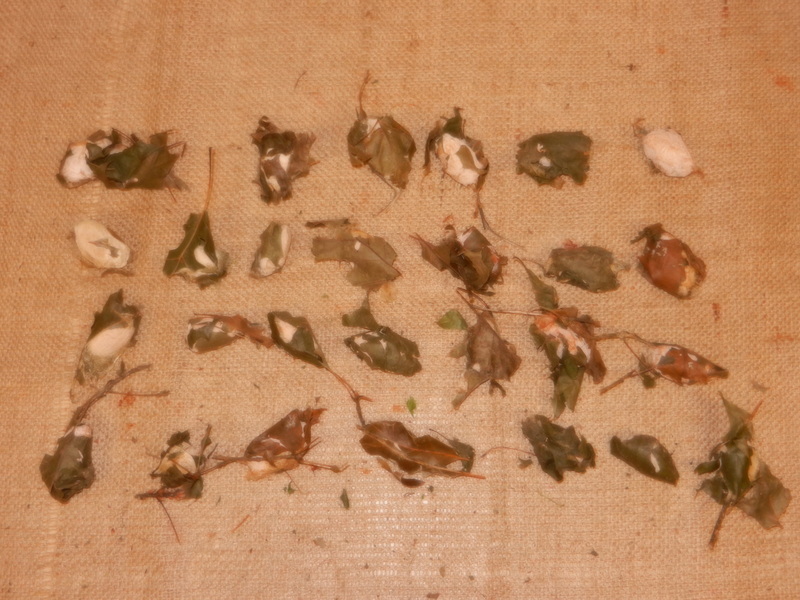 Once she was done laying eggs within the bag, I cut the bag into pieces so that I could place them within a smaller container for observation and rearing. I placed the container on my desk so that I would notice the moment they began hatching. 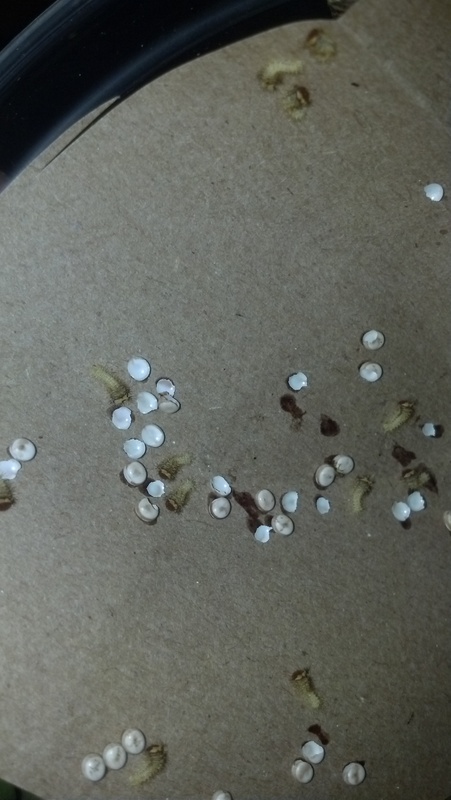 After about 3 weeks inside the eggs, the small larvae chewed their way out. 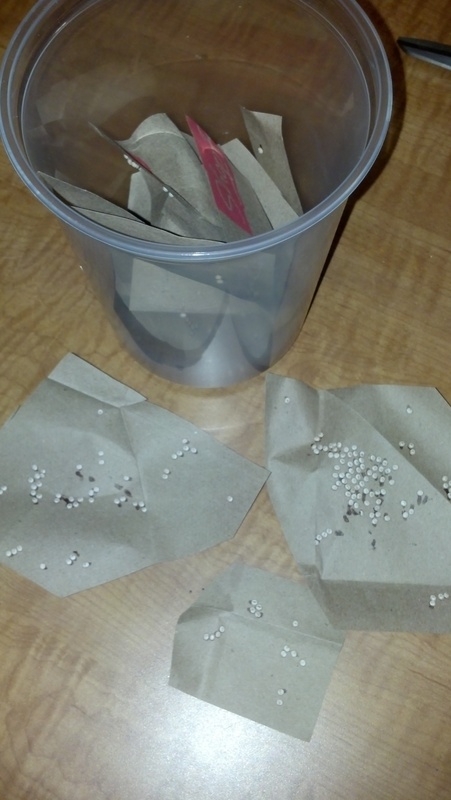 Polyphemous Moth Eggs Hatching. Larvae chewing their way out. 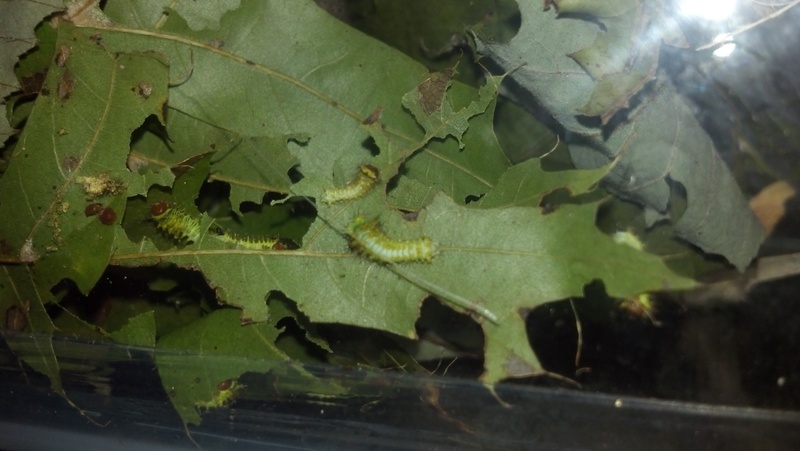 Now that the caterpillars (larvae) had emerged out of the eggs, they needed to be fed; based on research I decided to try both river birch and pin oak. They responded better to the pin oak leaves and began to feed, frass (poop), shed and grow voraciously over the next few weeks. To keep up with their various size and large appetites they were split into three tanks. Small, Medium and Large until they began to cocoon. 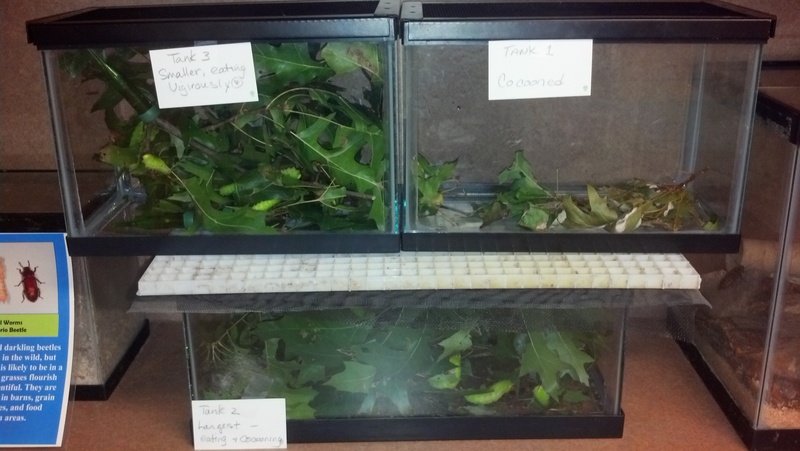 At that point one tank was labeled for cocoons. 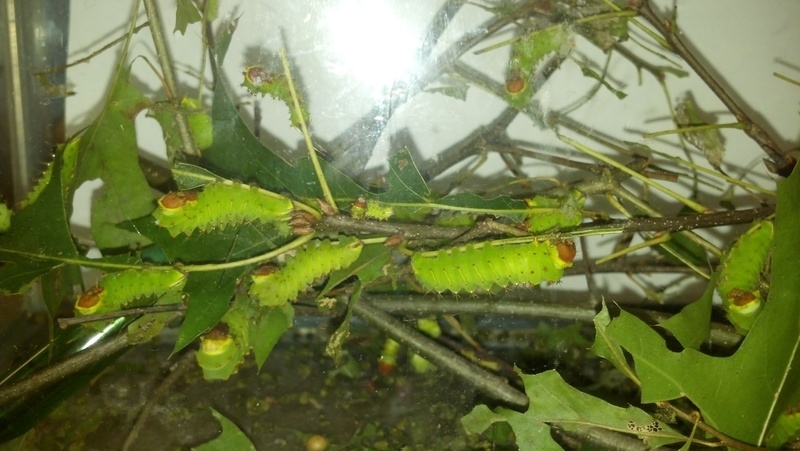 The caterpillars needed fresh leaves daily to keep up with their appetite and to provide enough for the largest caterpillars to wrap themselves into a cocoon. The visitors, students and campers all enjoyed watching them munch away. Yes, they were “Very Hungry Caterpillars”. Eventually they all turned into cocoons (pupa) with the exception of a few individuals that somehow or another became casualties along the way. 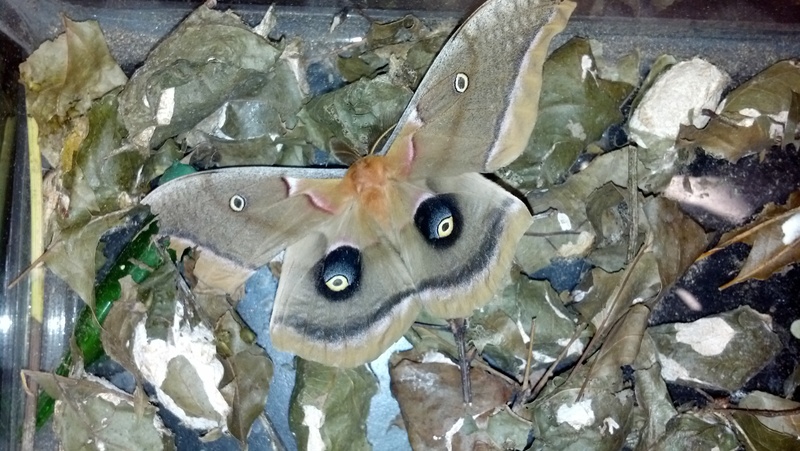 What’s up,I read your blog named “Raising Polyphemus Moths | Nature Into Action” daily.Your writing style is witty, keep it up! And you can look our website about proxy server list.